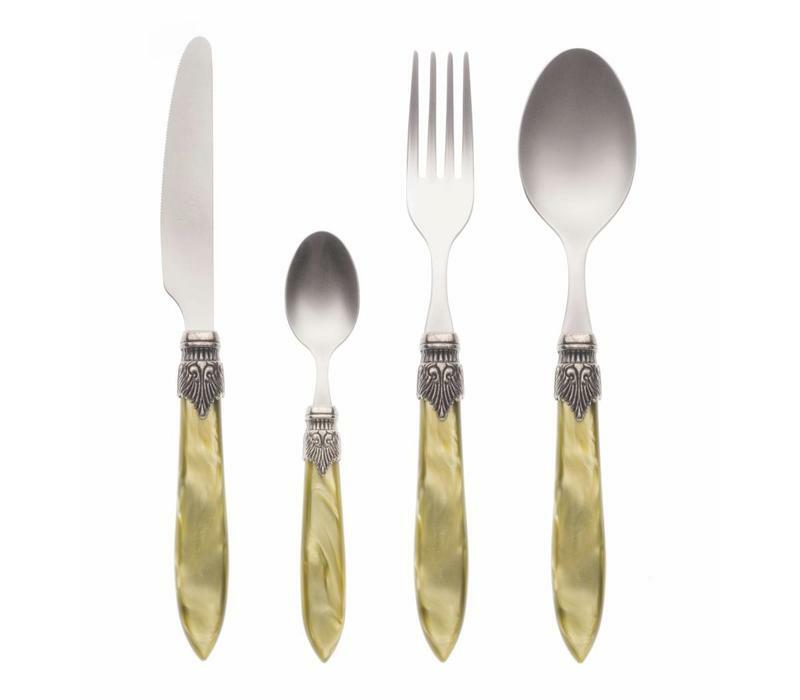 Murano cutlery is 100% made in Italy by skilled professionals. 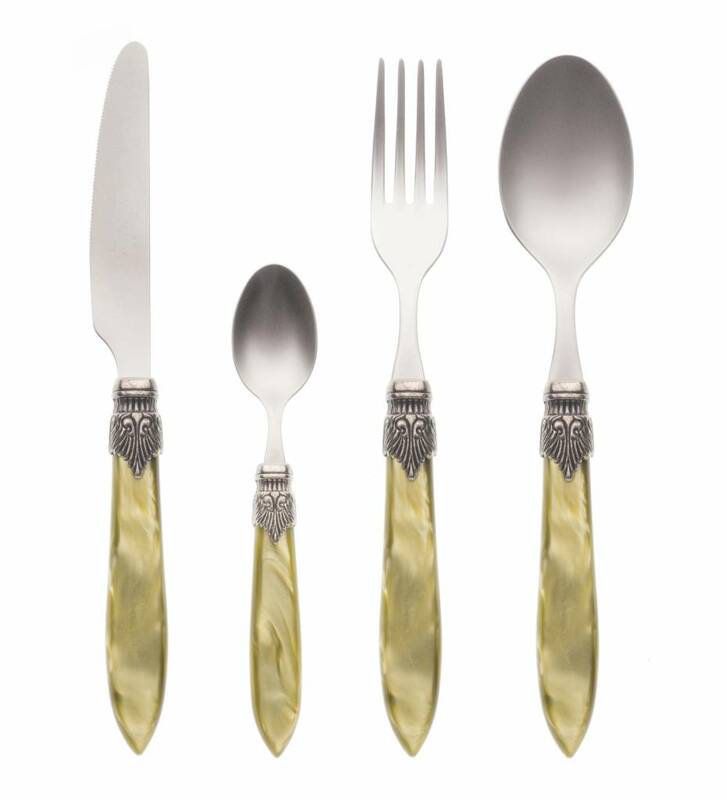 This timeless cutlery gives a classic ‘Venetian’ touch to your table. The high quality cutlery set is made of stainless steel with a coloured acrylic handle. The colours won’t fade because of a special colourfast production method. The knife blades are lightly serrated. They cut well and stay sharp. It’s suitable for everyday use and dishwasher save.